Having been on sale for just three vintages, Centola has obtained a special award as The Best Wine from Denomination of Origen Rías Baixas’. 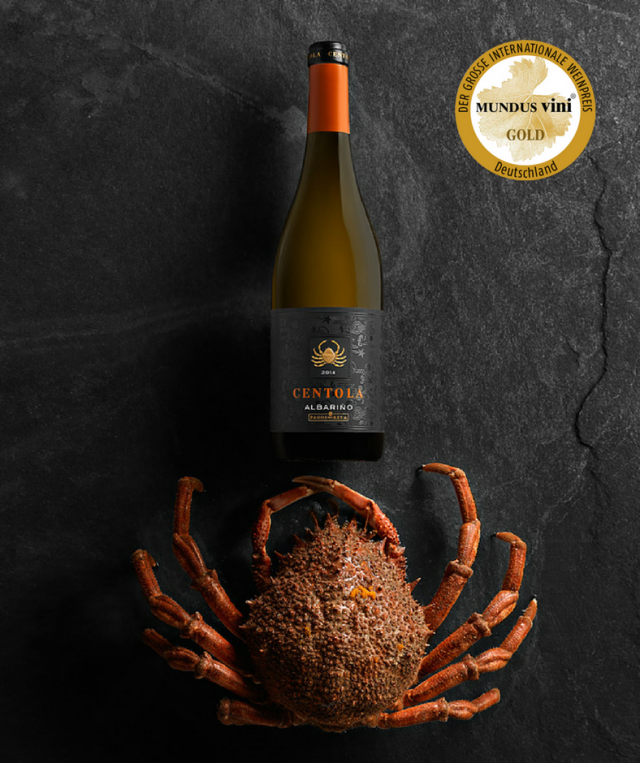 The prestigious international contest, Mundus Vini has selected Centola as the Best DO Rías Baixas Wine. The special recognition ‘Best of Show Rías Baixas’, which accompanies its gold medal, makes this wine the best in its category according to the summer edition of the German competition. Centola is a fresh, fruity white wine produced by Pagos del Rey in the Galician region of Salnés Valley from the Albariño grape variety. This valley, very close to the Atlantic Ocean, has an exceptional climate, with mild temperatures and high rainfall throughout the year. Centola is a fresh, fruity white wine produced by Pagos del Rey in the Galician region of Salnés Valley from the Albariño grape variety. Despite being on sale for just 3 vintages, this superb Albariño has managed to position itself as the best wine of its category. The elegant and innovative label is a statement of purpose. A perfect match for fish and seafood, Centola invites you to discover the Atlantic flavour of Rías Baixas. Centola has not been the only Pagos del Rey wine to receive an award in the 21st edition of Mundus Vini 2017. A total number of 8 medals has been attained by the winery: two gold (Pulpo another Rías Baixas DO wine and Condado de Oriza Roble) and five silver (Castillo de Albai Gran Reserva, Viña Albali Sec, Arnegui Gran Reserva, Gran Bajoz and Esquador Crianza).